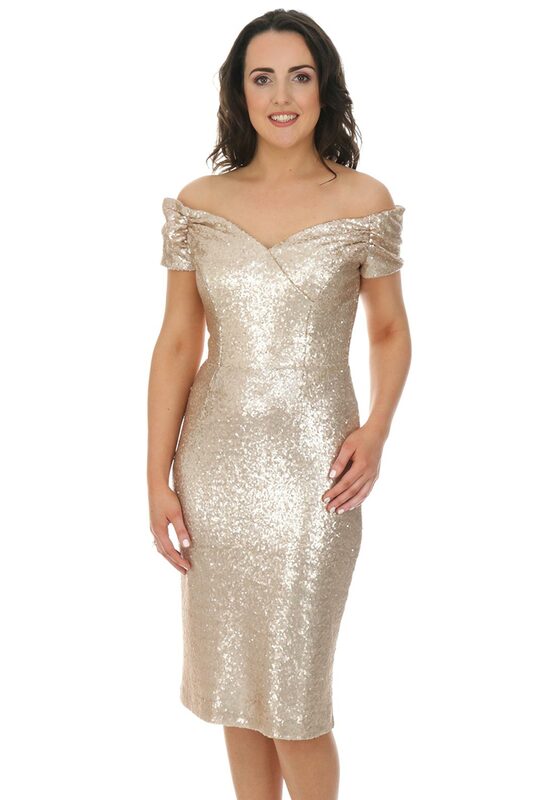 Sparkle and shine at an important special occasion or formal event with the gorgeous Fatale dress from The Pretty Dress Company which is embellished throughout with champagne gold sequins. Designed with a figure fitting pencil shape and made from comfortable stretch fabric. Other details include an off the shoulder Bardot neckline, concealed rear zip and vent on the back seam.